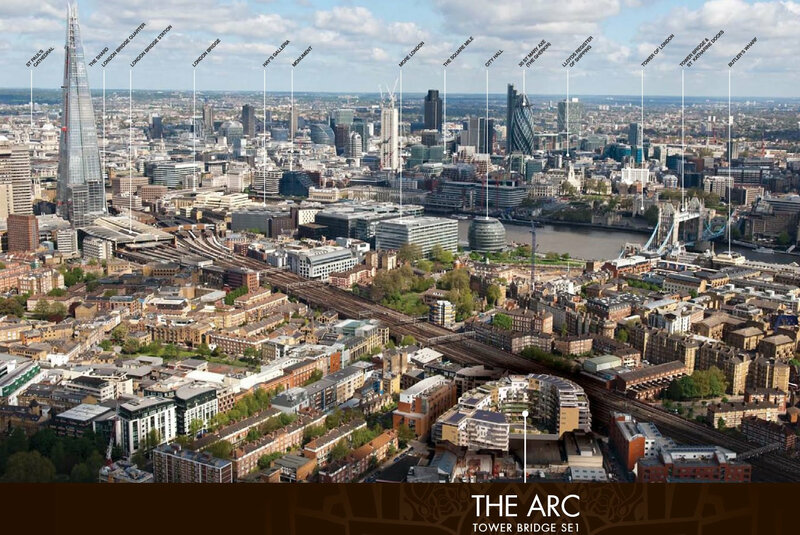 The Arc provides a mix of 1, 2 & 3 bedroom apartments and 3 bedroom duplex penthouse apartments. At first floor podium level, each apartment enjoys a private terrace garden with the majority also having private front door access. 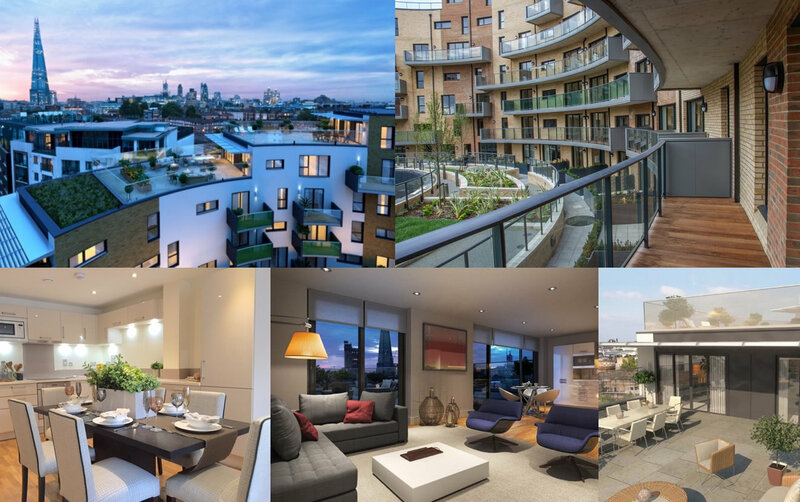 All courtyard facing apartments will overlook the extensively landscaped and strikingly designed communal gardens while many apartments benefit from a dual aspect. Each apartment also features one or more balconies or a balcony/terrace combination. 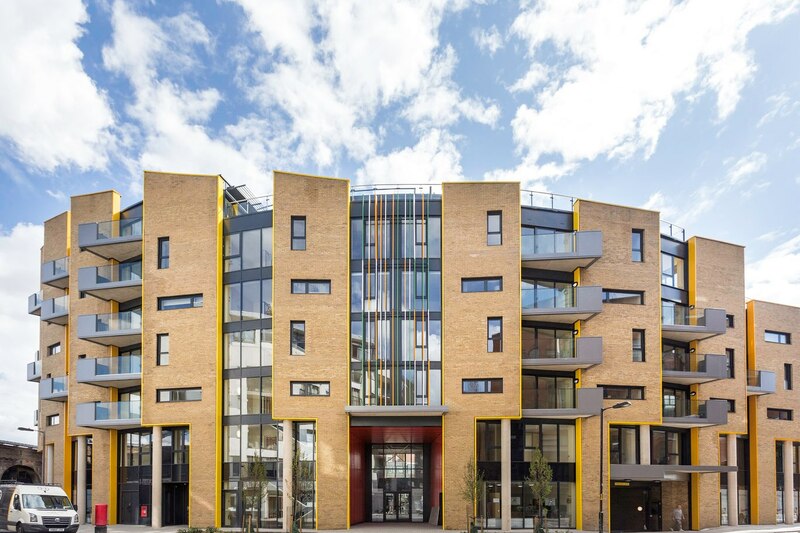 The development has secure underground parking accessed from Riley Road with lifts serving each core to all apartment levels and lower ground parking. Principal access to The Arc apartments will be via a prestigious and imposing entrance foyer and lift lobby, complete with concierge and services. The riverside around Southwark and Bermondsey is a key London address for restaurants such as Pont de la Tour, night life, art galleries, museums, food and antique markets; the atmospheric Borough market is arguably Britain’s ﬁnest gourmet market. Excellent transport communications provide easy access to both road and public transport networks. London Underground serves Waterloo, London Bridge, Elephant and Castle, Lambeth North, Borough, Southwark and Vauxhall and Bermondsey. On the north bank lie Westminster, Charing Cross, Embankment, Blackfriars, Cannon Street, Mansion House and Tower Hill.